Securing both your CalArts and personal email accounts is hugely important for keeping your personal data safe. 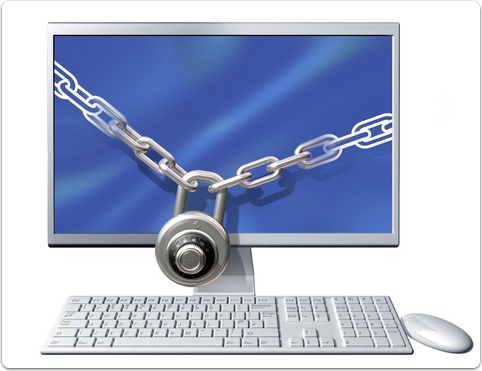 Please use this article as a general guide on how to fortify the security of your Email accounts. Enabling 2-Factor Authentication on your email accounts is one of the best ways of further securing any Email account. 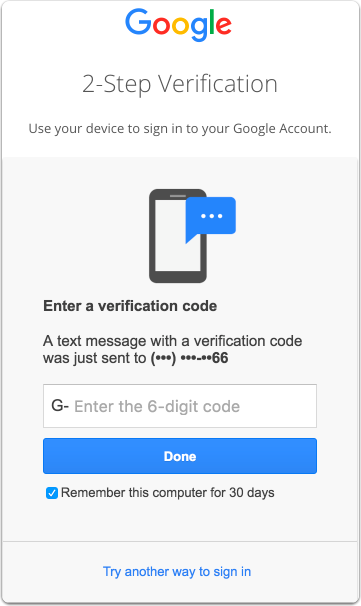 2-Factor Authentication or 2FA is a multi-factor authentication which requires not only a username and password, but also a psychical item the user has possession of or has immediate access to such as a cell phone or other mobile device. We have an entire CAIT article for how to enable and setup 2-Factor Authentication which can be found here. When you're creating any password, the general rule of thumb is to have a good combination of capital letters, numbers, and symbols mixed in. If you include a mixture of those characters within your password it will be significantly more difficult to crack for any unwelcome guests. In addition to this, the longer the password is the better so you should always setup passwords that are at least 8 characters or longer! 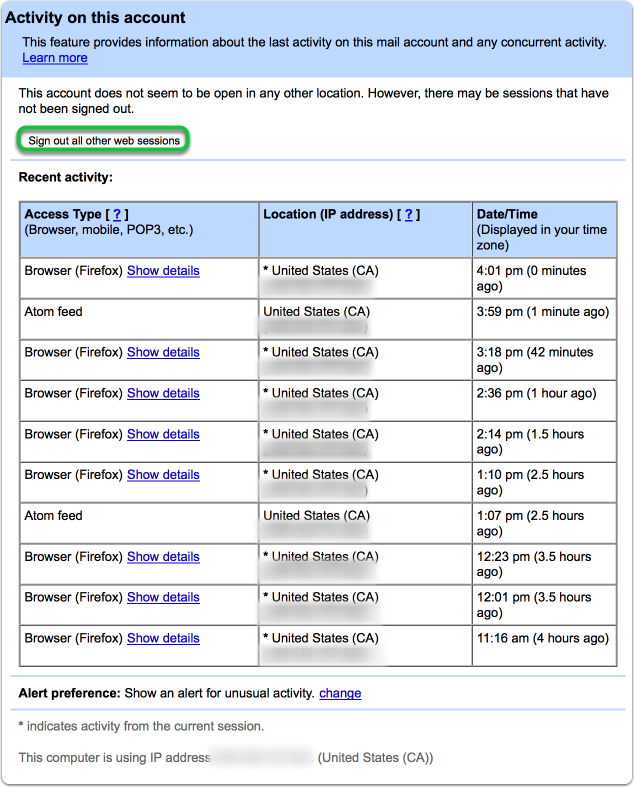 Gmail has an excellent tool to monitor last account activity on both personal and work Email accounts. Near the bottom right of your inbox page in Gmail, there is something that says "Last account activity". Click the link right below it that says "Details". This will bring up a window where you can see the most recent logins including details on the type of device that was used to login and where the login originated from. It's always a good idea to regularly check this list and verify that no other logins other than your own are showing up on here. If you do notice any questionable logins showing up on this page there is a "Sign out all other web sessions" button near the top of this that you can use to force any other users to log out. In that scenario, It would be a good idea to change your password immediately afterwards. It is never a good idea to directly Email un-encrypted files as an attachment. Instead, you should use Google Drive to upload the files then share the document directly to the recipient through Drive. Not only is this a more secure method for sharing files but you can also control if the recipients are able to make changes or simply view the document. Alternatively, if the user doesn't have a Google Account, you can set the document's visibility to 'anyone with the link'. This is less secure option since the person would technically be able to forward this link on to other users but you will still retain the control of the files uploaded to Google Drive and is still miles more secure than Emailing the document as an attachment. Not everybody is a computer expert, and we don't expect you to be. That's what we're here for. If you ever have a question or find yourself embarrassed to even ask, give us a ring, a tweet, or open a ticket!